I recently looked back at my Google photos. There I discovered many photos of things that I intended to write about, but never got around to it. Like this picture . . . of the paper hat the Curly made Coach for Father’s Day. I imagine that lots of kids gift ties for Father’s Day, but how often does a dad receive a paper hat? 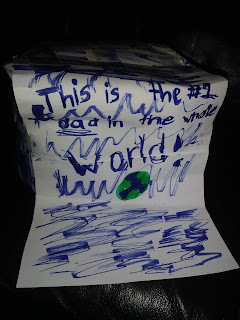 Since the gift was not meant to be funny, I tried to get the other kids’ attention before they poked fun of it enough to make Curly break down and cry. The daggers I was shooting from my eyes, mainly at Reg, were proving ineffective. Reg was doubled over. ‘Where are you going to wear your new hat, Daddy?’ Reg was questioning between fits of laughter. Coach played it cool and wore the hat while he read the rest of his cards. I kept a watchful eye on Curly willing her not to pick up on Reg’s endless need to make fun of the carefully crafted, homemade gift. Apparently the days of our kids presenting us with sweet, made-from-paper gifts officially cease to exist. Sigh. The end of an era. 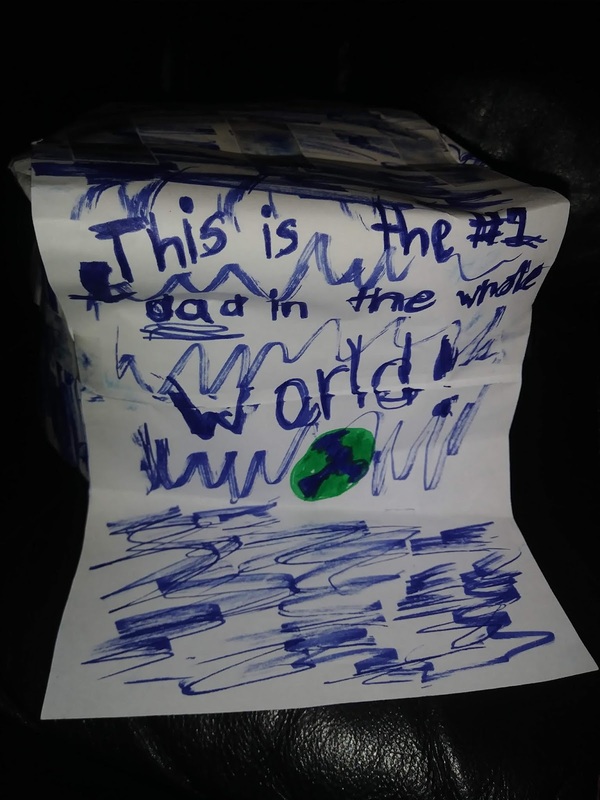 I know this review is long overdue seeing as we watched this movie on Father’s Day, but I had a few lengthy stories to share first. I hope this warning isn’t too late . . . do NOT waste your time with this ridiculous movie. ‘Oh my gosh! The bro-talk is killing me: Dude, let’s get ice cream. What flavor do you want? Man, I might change career paths.’ It was so painful that it became positively hilarious. Proof that not all stories are capable of being stretched into a full length feature film. I was bummed that the movie wasn’t more of a high point for the day. I mean it was already a full day with a freshly clean (slightly unwelcome) garage. What more can you ask for? I think even Coach would agree that watching 'The 15:17 to Paris' while wearing a one-of-a-kind paper hat didn't make the experience any better.